BRATISLAVA, Slovakia, March 27, 2019 /PRNewswire/ -- Binance and Crypto Voucher are making the process of buying BNB token as simple and accessible as possible to non-cryptocurrency users. The appeal and simplicity of transferring value with a click of a button using the Crypto Voucher mechanism, combined with the market and exchange expertise that Binance brings align perfectly with the demands of today's crypto market. Anyone who has been involved in cryptocurrency for even a short while, knows that Binance is a household name. The exchange juggernaut boasts a massive order list and diverse portfolio of tradable tokens where the BNB token is the main trading pair. Crypto Voucher is an online platform that provides the easiest solution to buy cryptocurrencies instantly. The platform offers an easy, secure and user-friendly process to instantly buy different cryptocurrencies with different payment methods. Crypto Voucher's specialises in the digital voucher industry internationally, but particularly in Europe where it is based. This combined with Binance platform puts the pair in a great position to cater to the European market and further simplify the ease of obtaining and trading with the BNB token as well as other crypto currencies. Crypto Voucher's easy to use voucher system will allow Binance to more easily cater to a non-crypto fluent user base. With Binance as a central engine, the two companies can now offer a respected and proven gift card service that will allow value to be converted from Crypto Voucher cards to BNB tokens. Crypto Voucher allows users to purchase their vouchers at their convenience. Crypto Vouchers offers many payment options. Buyers can simply Visit the Crypto Voucher site, click Buy Now and enter the details of the purchase. They can buy from an online distributor or direct from Crypto Voucher and pay with theirpreferred payment option. Alternatively, they can make the purchase from many authorized distributors. Crypto Voucher provides a map containing the location of all local vendors that sell Crypto Voucher cards. Users can load the map to find the nearest reseller if they prefer paying with cash. Crypto Vouchers allows users to exchange other gift cards (eg Wallmart card, iTunes gift card) for a Crypto Voucher card. After buying or receiving a Crypto Voucher card, buyers can easily redeem its value. 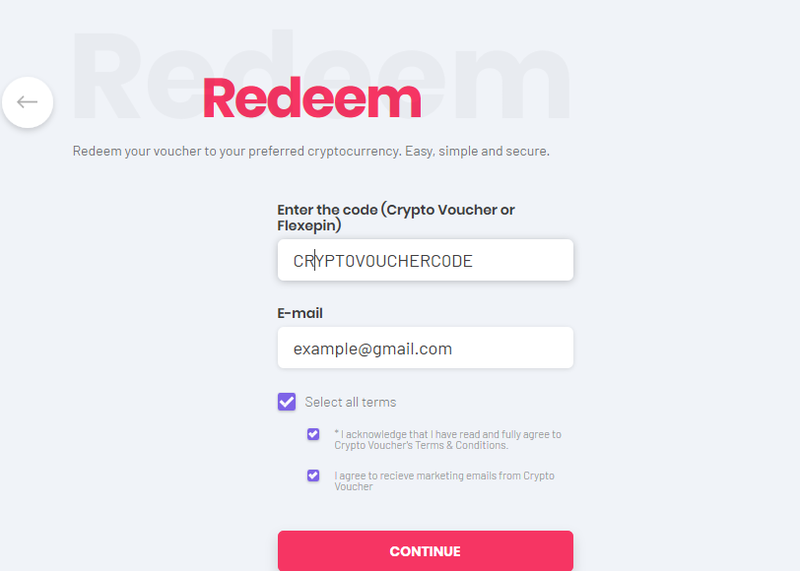 By simply clicking Redeem on the Crypto Voucher Page and enter the details (card code and your email). They will then be shown the monetary value of the card and prompted to select the particular cryptocurrency they would like to get, they can fill in their wallet address and click enter. It's that simple.